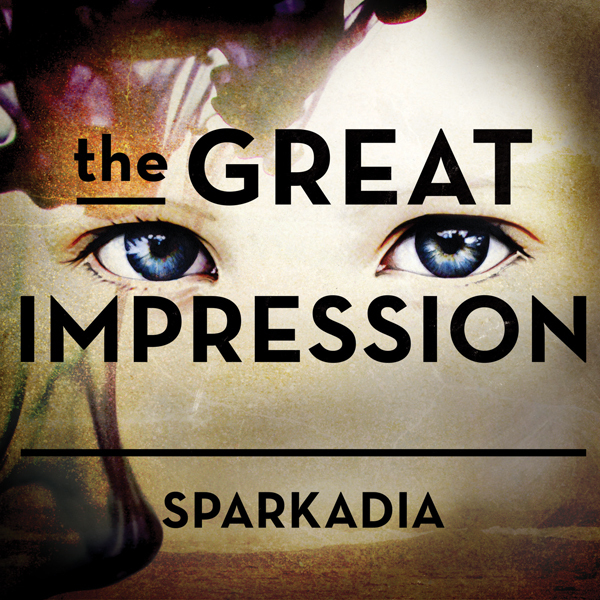 The Great Impression is the 12 track USA debut album from Australian indie pop-rockers Sparkadia. Front man and founding member Alex Burnett shows great skill in his songwriting, seamlessly melding 80s style synth lines and sprawling, anthemic choruses with evocative lyrics to form a record that is heartbreaking and uplifting all at once. The Great Impression features Burnett on almost all the instruments including gongs, metal scaffolding, and scrap metal, which adds a bit of oddness and uniqueness to the record. Standout tracks include the first single, Mary, a rousing and powerful anthem with spiritual undertones, Talking Like I’m Falling Down Stairs, a dreamy tune with lyrics that create a vivid picture of Burnett’s emotional state, and China, a pop hit with a retro feel and driving percussive lines that will resonate with anyone who has ever been on the brink of a breakdown.